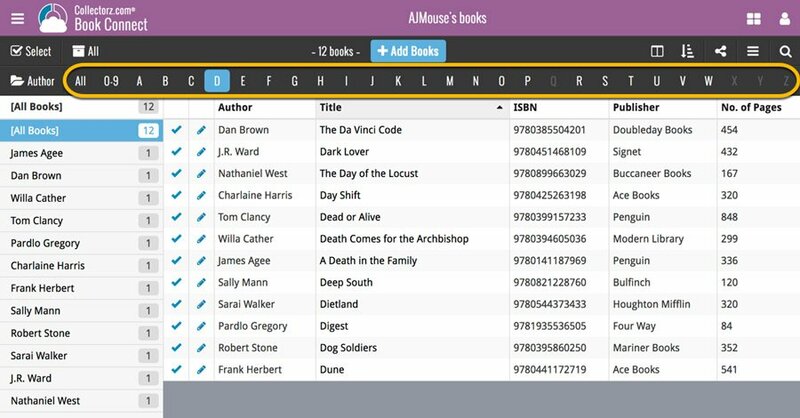 You can use the alphabet bar to quickly filter your books by their first letter. Clicking a letter button immediately filters down your list to show only the books starting with that letter. So for instance, click the “A” to see all books beginning with the letter A.